So after months of the moro-moro that is Philippine politics, President Benigno Aquino III finally gave his endorsement yesterday for the Presidential elections of 2016 to DILG Secretary Mar Roxas. As everyone expected him to anyway, if I might add, despite the smokescreen of behind closed doors interviews with other presidentiables. That Roxas studied at the Ateneo, I am prepared to overlook. ☺ That he has an Economics degree from Wharton, this I like and applaud. That people say he is elitist and lacks PR skills, these I do not care about. To my mind, the one basic flaw about democracy as a form of government is that it turns a cheek to qualifications in the selection for leadership. For instance, as stipulated in the 1987 Philippine Constitution, to run for the presidency, a person has to be a natural-born citizen, a registered voter, literate, at least 40 years old and least a 10-year resident of the country preceding the elections. These qualifications will not get anyone hired as clerk even in a middling organisation but yes, they are sufficient to become president of the republic. That is why I like Roxas and his Economics background because running the country is really a management job. Finance is the lifeblood of any organisation; and it goes without saying that the healthier the financial side is, then the healthier everything else also becomes. In this light, therefore, I always appreciate a president who has an understanding of numbers; i.e. finance and economics. This makes Roxas, to my mind, perfectly qualified for the position as president of the republic, whatever else everyone says about him. What I do not like about Roxas is the occasional tendency to go MMK, if you get my drift. Yesterday, for instance, we all saw news footages of him teary-eyed with voice choking during his acceptance of Aquino’s endorsement. The first time I saw Roxas really emotional on television was when he had to make the announcement of Jesse Robredo’s untimely demise. Then, I did not really mind even if privately I wondered if perhaps he could have mourned Robredo’s passing off-cam and then composed himself before facing the news crews. There might have been an interview or two at the height of the Yolanda crisis when Roxas seemed on the point of breaking. Even then, I did not really mind because the challenges brought on by Yolanda were of previously unseen proportions. Yesterday’s acceptance remarks, however, were too much. 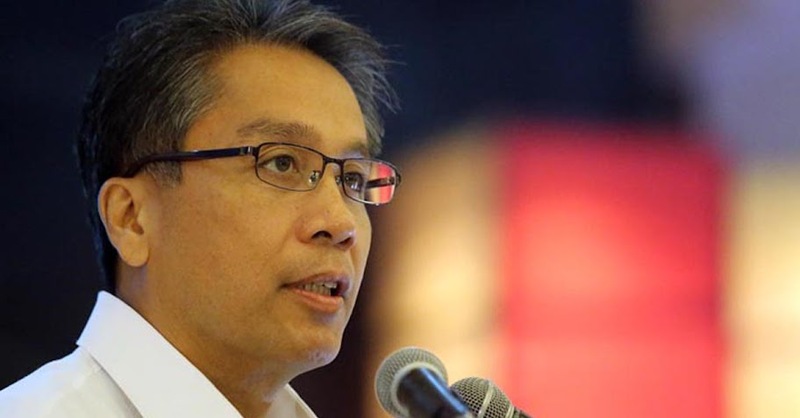 The reporter of the midday flash report who covered Aquino’s endorsement said that Roxas had admitted to media his tendency to be mababâ ang luhâ. Good God! I can imagine the Chinese leadership back-channelling funds into the country already to make sure that Roxas gets elected! The president, after all, is the alpha male of modern civilised societies. What alpha male kept reaching for the hanky each time the going got rough? In this country, it always gets rough! Perhaps there will be those who will argue that the MMK stuff is a deliberate ploy to win over a public so immersed in the teleserye. After all, Roxas’s poll results are really not all that encouraging. Personally, though, I prefer my president to be one who projects strength rather than one who gets emotional at the hint of a crisis. It will not hurt him to man up and leave the MMK stuff to Charo Santos and her actors.